Not everyone knows that Judd Apatow more or less single-handedly raised the funds necessary to build 826LA’s magnificent site in Echo Park. Since then, he’s edited a book (I Found This Funny) to benefit 826, and has put on multiple fundraisers for LA and the programs across the country. 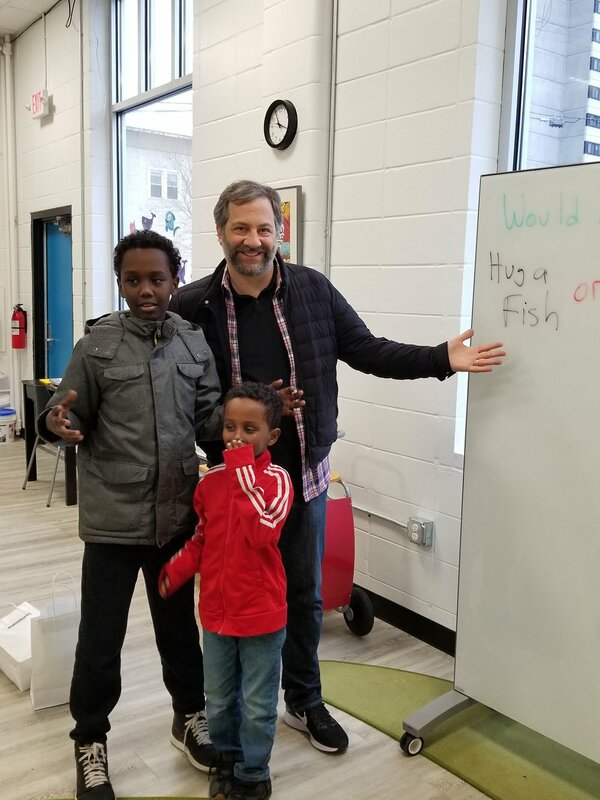 Yesterday he was performing in Minneapolis, and took the time to stop by the Mid-Continent Oceanographic Institute, where he met students and posed next to the eternal question we all face daily regarding hugs and fish. Thank you, Judd. -D.E.